Loma Linda Academy Junior High encourages students to seek Christ as their personal Savior. We provide a challenging learning environment, hold high expectations, integrate moral values, expand knowledge through critical thinking, and establish courage to enable students to act on their beliefs. Our purpose is to respond to the world's need for students who make "intelligent choices guided by eternal principles." 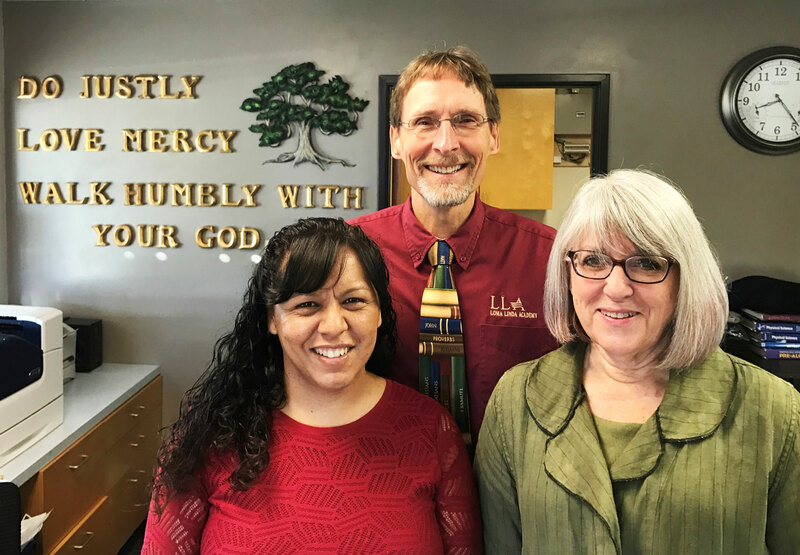 Loma Linda Academy nurtures students to be capable and responsible citizens who love God supremely and live balanced lives spiritually, mentally, physically, and socially. Loma Linda Academy promotes academic excellence, fosters spiritual values, cultivates social skills, and encourages development of physical talents. Login to My LLA and view the Resources menu for more Junior High information, links and forms. (909) 796-0161 x4926. Leave a message to excuse first period morning tardies and any unexcused absences OR email OR download the Attendance Excuse Form and submit to the JH Office within 3 days of absence date.